ON THE SOAPBOX: Conrad Clifford, Chief Executive, Monarch Group, explains the airline's new thinking. With Arik, British Airways and Virgin Atlantic already on the route, but all from Heathrow, Air Nigeria is to launch a UK – Lagos services but this time from Gatwick. Air Nigeria launches long haul operations with a daily Lagos – Gatwick route from 1 September. Operating from the South Terminal the services will be flown by an Airbus A340 in a two-class layout. Air Nigeria is the successor to Virgin Nigeria, Virgin Atlantic selling out to local interests last year. Besides the wet leased A340 it flies a fleet of Boeing 737-300 aircraft and Embraer 190s. As AERBT is published aviation leaders from all over the world are gathering in Singapore for the International Air Transport Association’s (IATA) Annual General Meeting (AGM), the event originally set for Cairo. The 67th AGM will bring to a close the end of the nine-year regime of Giovanni Bisignani as IATA’s Director General and CEO. 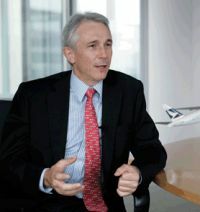 He is replaced by Tony Tyler the former CEO of Cathay Pacific. CEO Forum: Anthony Albanese, Australian Minister for Infrastructure and Transport; Tim Clark, Emirates; Andrés Conesa, Aeroméxico; Robert Milton, ACE Aviation; Emirsyah Satar, Garuda; Antonio Vázquez, Iberia and IAG; and Douglas Steenland, former CEO and President, Northwest Airlines. Aviation in a Dangerous World (Security): Kunio Mikuriya, Secretary General of World Customs Organization; Siza Mzimela, South African Airlines; Elyezer Shkedy, El Al; Ron Noble, Secretary General of Interpol; and John Pistole, Administrator of the US Transportation Security Administration. Air Astana, Kazakhstan’s principal air carrier has launched new services from Almaty to Tbilisi, capital of Georgia, and Samara in southern Russia. Both services will be operated by the airline’s new Embraer E190. Flight time from Almaty to Tbilisi is 4hrs, and 3hrs 30mins to Samara. They are configured with 97 seats in a two-class layout and will operate alongside the existing fleet of Airbus A320 Family aircraft on the regional network. The fleet of E190s will grow to six aircraft by the end of 2012 and gradually replace the airline’s six Fokker 50 turboprops which will now be retired. Air Astana says the launch of these new services represents another important step in a strategic plan to significantly grow its central Asia network. This has already been seen with the rapid expansion of new services between Almaty to Baku, capital of Azerbaijan; Bishkek, capital of Kyrgyzstan; Dushanbe, capital of Tajikistan; St Petersburg in Russia; Tashkent, capital of Uzbekistan; and Urumqi in western China. Want more room on a Germanwings flight? Well you can get it providing you pay an extra €15. Ten rows on all aircraft have been made into a special comfort zone called “Best Seat”. Germanwings already has in place a “Best Tariff” which will now include the seating package. “Best Tariff” includes a seat reservation, one item of luggage, and a snack and beverage on board. Passengers can also buy the centre seat, ideal if you are lucky enough to be the other party in the row. Aer Lingus passengers due to fly to and from Ireland this week should keep a careful eye on the airline’s web site with the airline’s pilots due to go on strike from next Tuesday. On Saturday talks between the parties collapsed with the strike seemingly inevitable. 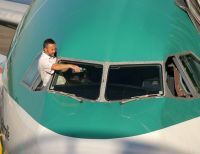 The industrial action by the Irish Airline Pilots' Association is backed by 87% of flight deck crews balloted – this will affect services out of Dublin and Cork. The dispute is centred around the issue of flexibility on rosters. Both sides have been invited to take part in talks. According to a statement by Aer Lingus the pilots will not work on rostered free days or annual leave days and will report for duty one hour late. Berlin is the latest destination for oneworld carrier Royal Jordanian (RJ). 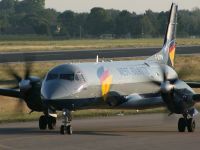 It is the airline’s third target in Germany, the daily Frankfurt service introduced way back in 1970 and Munich, a relatively newcomer, since 2001 with three flights per week. Berlin will also be three flights initially and is the 59th destination for RJ. A two-class Airbus A320 will be used, the aircraft at the outset operating through Tegel but transferring to Brandenburg International (BBI) when that airport opens next year. This event will more or less coincide with Air Berlin joining the alliance which will open up a further connecting market for RJ in both directions. A £340m third module of Heathrow Terminal 5 has opened, dedicated to British Airways. 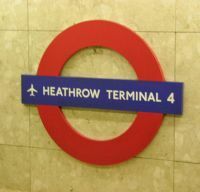 The satellite is linked to the rest of Terminal 5 by the existing underground transit system, with journeys taking just over a minute. More than 70m customers on over 500,000 flights have used Terminal 5 since it opened in March 2008 and the facility has helped British Airways to achieve record levels of punctuality, baggage performance and the airline’s highest ever customer satisfaction scores. 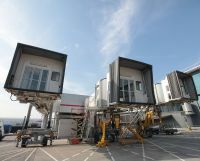 The new section has 12 boarding gates, of which eight are triple bridges designed to cater for the 12-strong fleet of Airbus A380 aircraft joining British Airways from early 2013. 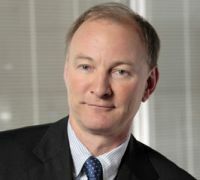 Conrad Clifford has been Chief Executive of the Monarch Group since September 2010. 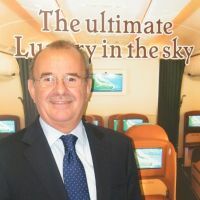 He began his aviation career as a trainee with Cathay Pacific and has over the years held a succession of senior appointments including Virgin Atlantic, General Manager and Commercial Director; Menzies Aviation Group, Commercial Director; and Emirates, VP UK and Ireland. He also established Virgin Nigeria. Monarch Airlines is now easily the longest established airline in the United Kingdom with essentially the same ownership throughout. Last Wednesday was a blur as I was shuttled from one recording studio to the next to speak to various radio and TV outlets about the re-launch of Monarch as a scheduled airline. The day started before dawn at the BBC and ended in the rarefied atmosphere of the Gherkin building as I was grilled by Jeff Randall on Sky News about the plans for Monarch. Of course, Monarch has been a scheduled airline for a little while now. Five years ago Monarch was about 80% chartered and 20% scheduled. Today, we are over 70% scheduled and will be 80% by next summer. But because Monarch has such a long and successful track record of chartered operations, too many consumers still saw us as the charter airline they got when they booked a package holiday. But hopefully that is now changing thanks to our re-launch and accompanying rebrand of Monarch to support scheduled operations. The package and charter market is still a core part of our business, but to achieve real business growth, we have to be successful in the ultra competitive scheduled market. So how are we going to do it? When the low cost airlines arrived on the scene, they completely transformed the industry. But today, innovation has largely disappeared from the airline industry in Europe. Monarch wants to change that. To begin with, we are not going to tell customers how they should travel. Rather, our customers will be able to choose the way they fly. That means consumers will be given a competitive price for an allocated seat with great service. Then, they have the freedom to choose what additional services they want. 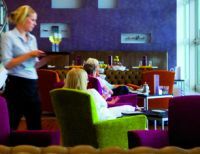 We have a menu of options such as seats with extra legroom, a really tasty hot meal and a business lounge ticket (through a third party provider). So if they want to travel from A to B at the lowest possible price, then we can provide that. If a customer wants all the trimmings without having to fork out a significantly higher sum for a Business Class flight on a legacy carrier – then we can provide that too. The “one size fits all” approach simply won’t work anymore. Monarch is committed to offering the most flexible and value-led proposition in the industry. We call it “Fly your way. Every day” – a message that is now integrated into our new branding. 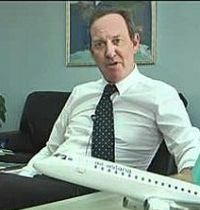 Jeff Randall on Sky News made the assertion that airline passengers made their choice of carrier purely based on price. I just don’t believe that is the case. Yes, of course price is vitally important, but consumers generally do not mind paying a little bit more if it means that they have a far less stressful travel experience. To assist in providing that experience, Monarch has also embraced social media. We launched a Facebook page last week and we can also be found on Twitter. Social media engagement isn’t an optional extra these days. Increasingly consumers want to communicate directly with their airline through these channels and expect a rapid response. Want to check if your flight is on time in periods of bad weather? You will be able to ask us on Twitter and get a prompt response. Social media isn’t just for the benefit of our customers – it is also a source of invaluable feedback for us. We want to continually improve our service, but that means we need to hear what our customers are saying. In addition, Monarch is committed to open and fair pricing structures. Consumers are sick of “drip pricing” and so we took the decision to ditch debit card fees and introduce an easy to understand, flat fee of £10 for credit card payments. We are now signed up supporters of the Which? campaign to encourage all airlines to introduce fair and transparent credit and debit card charges. And it is my sincere hope that airlines with excess payment card fees now follow Monarch’s lead. The initial signs are that consumers are responding positively to the changes we have introduced and I am convinced Monarch can continue to grow as a niche airline that focuses on scheduled operations to sunshine destinations. Now if someone can just discover a huge oil field near Luton and my week will be complete! 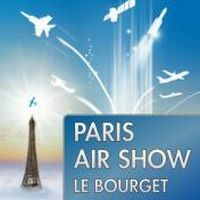 At Le Bourget Air Show Paris (20-25 June) Airbus will use the opportunity to showcase job and career opportunities for young talents and graduates as well as experienced professionals. In a series of forums and workshops the Toulouse-based aircraft manufacturer will provide the opportunity for job seekers to discuss their possible future career path with HR professionals, engineers and business experts. At the show Airbus will highlight opportunities generated by developments such as the A320neo or the all new A350XWB twin aisle jet. Key competencies such as structure and systems engineering will be in the spotlight. Opportunities also exist in procurement, finance, human resources, strategy, marketing and sales for graduates from business schools and universities. Overall, this year Airbus plans to recruit more than 3,000 talents from all around the world and offers more than 2,500 internships at its worldwide sites. The combined production and sale of British aircraft has effectively ended after 100 years with the disposal by BAE Systems of its commercial aircraft lease portfolio and asset management business known as Regional Aircraft. The world’s second largest regional jet lessor by fleet value and the tenth largest aircraft by fleet size has 16 customers in 11 countries. The business is responsible for the management of 151 commercial aircraft owned by BAE Systems, which are included in the sale, plus the management of third party owned commercial aircraft on behalf of airlines and investors. Singapore has become Finnair’s tenth destination in Asia. It is Changi’s first new European route since the launch of Lufthansa’s Singapore – Munich service in June 2008. With daily flights the airline will operates an Airbus A340-300 aircraft in a two-class configuration using Terminal 1 at Changi Airport. Flight time is around 11hrs 30mins. The airline claims that flights are the fastest connection between northern Europe and Singapore. "Finnair's Asian strategy has worked extremely well," says Finnair CEO Mika Vehviläinen. "The Singapore route will strongly support our core strategy as well as serving our main target group of customers travelling between Asia and Europe on business." 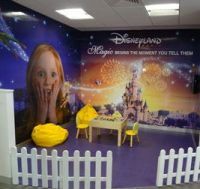 Children are being made welcome at Hertz Heathrow facility, part of a £2.5m upgrade. The car rental giant has transformed its Heathrow facility to focus on what it calls “enhancing the customer experience.” To further improve sustainability initiatives as part of a global station refurbishment programme, Hertz has incorporated new customer service pods – shorter and lower counters which allow Hertz staff to come around the counter and interact freely with customers. New wall signage and LCD screens with their predominant yellow theme, and Hertz's brand ambassador Horatio, all help to provide a warm and cheerful welcome to customers. The location design also includes a range of energy-saving and environmentally friendly initiatives including lighting systems featuring low-energy fixtures; LEDs and motion sensors in order to minimise consumption; energy-efficient heating, ventilation and air-conditioning system; and car washes which are specially equipped to save water. With rival ANA set to become the first operator to introduce the all new Boeing 787 later this summer Japan Airlines has announced it is to launch a two-class non-stop service between Tokyo and Boston in 2012 using the highly anticipated aircraft next April. Initially four times per week, but quickly increasing to daily from June onwards, JAL will become the only carrier to directly link Asia and Boston, one of the largest US metropolitan cities. The route will facilitate travel to and from cities throughout the New England region as well as add greater convenience for business and leisure travellers connecting to and from key Asian cities through JAL's extensive international network at Narita. The airline that introduced a new standard for the scrum on boarding an aircraft is set to progressively ditch its no reservation scheme over the coming months. Now it may be that the truth is that Ryanair has found another way to appropriate funds. 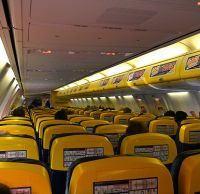 It has been forced to admit that trials of a €10 'book-a-seat' service between Dublin and Gatwick and Dublin and Malaga launched last month had proved to be far more successful than expected reports from Dublin indicate. An extension of the scheme, possibly Stansted to the Canary Islands, will take place this summer. Clearly “The World’s most annoying airline” is taking a reading of the economic and fuel situation predicting at a recent briefing that 2012 is likely to be a difficult year. With its two-door boarding policy ground staff will now have to direct passengers to either the front or rear doors, otherwise chaos could ensue. 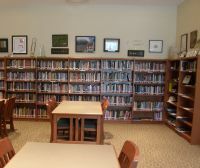 Whitwell Middle School Tennessee is the home of a remarkable project that from a small beginning has helped to educate a whole generation of children, worldwide. 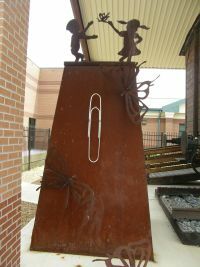 Within its “Middle America” school confines is the Children’s Holocaust ‘Paperclip’ Memorial Museum. In 1998 Whitwell Middle School Principal Linda M. Hooper asked teacher Sandra Roberts to begin a Holocaust Education initiative that would be the basis for teaching tolerance in a voluntary after-school programme. Ms Roberts held the first class later that year. Soon the students were overwhelmed with the massive scale of the Holocaust and asked Mrs Hooper if they could collect something to represent the Jewish lives that were exterminated by the Nazis. It was difficult for them to comprehend what six million really meant. In fact 11 million is the figure now quoted to include the other victims of the Nazis. Through the internet they discovered that during World War II the Norwegians had taken to wearing paperclips on their lapels as a silent protest against Nazi occupation. Collecting a target of six million paperclips seemed a way to symbolise the scale of the crime. At first the project went slowly, as it did not gain much publicity. Students created a website and sent out letters to friends, family and celebrities. The project began to snowball after it received attention from Peter and Dagmar Schroeder, journalists who were born in Germany during World War II and covered the White House for German newspapers. They published some articles as well as a book, Das Büroklammer-Projekt (The Paper Clip Project) that promoted the project in Germany. The big break in the US came with an article in the Washington Post. Almost all observers note the much unexpected location of the project. The small rural town of Whitwell has about 1,600 residents, and according to the US census, 97.35% of them white. There was not a single Jewish person among the 425 students when the project began. There were only five African Americans and one Hispanic. A hundred miles from Whitwell, in Pulaski, Tennessee, the infamous Ku Klux Klan was reportedly born. Whitwell is tiny (in fact a village by English standards) and trying to reinvent itself after the last coal mine, the major local industry, was shut down in 1997. About a half of the students at the Middle School qualify for the free lunch programme, an indication of hard times. The paper clips began to arrive by mail; masses and masses of them. To date 31m. Celebrities sent them including George W. Bush, Bill Clinton, Bill Cosby, Steven Spielberg and Tom Hanks. 30,000 letters have arrived, all of them responded to. 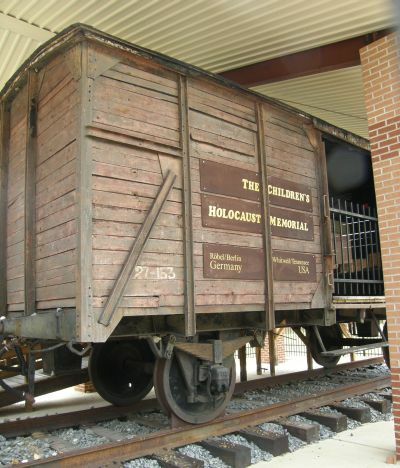 The centre piece of the museum is a genuine former German rail car which was used to transport Jews to the camps. Up to 150 people would be forced into such a wagon and then moved from all over Europe to the death camps. This particular unit was discovered in Poland and donated to Whitwell. Getting it from Germany to Tennessee was an involved effort achieved through much generosity and the help of various agencies. The railcar is filled with 11m paper clips (6m for murdered Jews and 5m for Gypsies, Catholics, homosexuals, Jehovah's Witnesses, and other groups). 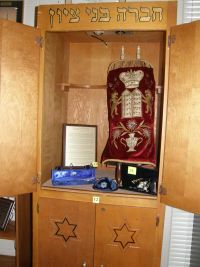 The monument was uncovered on the anniversary of the Kristallnacht, 9 November 2001. Embedded in concrete around the railcar are 18 butterflies sculptured of twisted copper. Butterflies came from a poem written by a child who lived in Terezin concentration camp in 1942 (I Never Saw Another Butterfly) and the number 18 in Hebrew symbolizes life (in Gematria 18 is the numerical value of the word çé, pronounced Chai, meaning life). Inside the truck, besides the paper clips, there are the Schroeders’ book and a suitcase filled with letters of apology to Anne Frank by a class of German schoolchildren. There is an outstanding documentary film about the project. 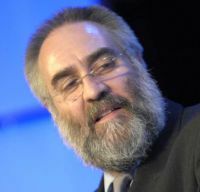 Joe Fab of The Johnson Group, who eventually became the producer, director, and writer, initially started to think about making a movie. However, it looked more like a story for a TV documentary. He filmed as several Holocaust survivors from New York who visited the school and shared their experiences with the community. Out of this footage, he made a raw seven-minute presentation. This "demo" helped to convince the Miramax film company that this project was worth a full-length movie. It was described as not yet another movie showing the tragedy, but a project of hope and inspiration. Released in 2004 it has won many awards. After more than 40 years in Heathrow’s Terminal 3 Air India has moved to Terminal 4, arguably the best terminal on the airport and now largely complete in terms of refurbishment. Before the move, Air India was one of the longest resident airlines calling Terminal 3 home, kicking off in the 1960s with Heathrow's first ever flight to Mumbai. Air India is somewhat unique in that, together with Kuwait Airlines, it is the only survivor of a regime that before the introduction of the Boeing 747-400, and other long range aircraft, allowed certain countries fifth freedom rights at Heathrow. Typically El Al for many years operated its New York –Tel Aviv services through London and offered transatlantic passage from the UK. No sooner had the newly rebranded Virgin Australia launched its two-class wide-body operation between Sydney and Perth, than Qantas (QF) has hit back. On to the route, one of the most important ‘down-under’, QF has introduced an internationally configured B747 in a two-class configuration for the mid-morning (10:15) and early evening 17:25 (all times local out of Perth). The airline has also improved its hold baggage allowance and with Qantas Club members allowed up to 32kgs regardless of the class they travel. The flights across the Nullarbor Desert are Australia’s longest domestic sector, according to OAG around five hours east to west, but only four in the other direction. 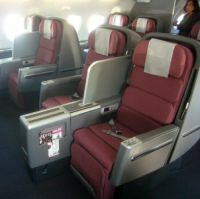 The airline points out that with the big Boeing, passengers will now be able to enjoy the benefits of an international product including the Qantas Skybed in Business, and personal on-demand entertainment options in every seat across both Business and Economy, offering a vast range of entertainment options. However a quick look at the QF website does indicate higher prices for passengers using the Jumbo. The world of the aviation media is mourning the sudden loss of Brendan Gallagher (60) just a week ago. 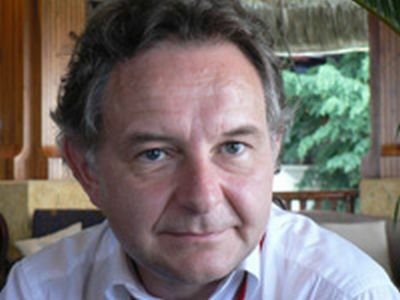 A product of St Philip's Grammar School, Birmingham, the jovial and always smiling Brendan held various posts at Flight International from 1973 onwards and was also with Aeronautical Satellite News for a lengthy period. Brendan had just returned from a tour of aviation companies in Istanbul on behalf of Arabian Aerospace and only two weeks ago was ensconced at EBACE Geneva tapping away at a news computer terminal. “Brendan is one of the best known names in our industry,” said Arabian Aerospace Editor Alan Peaford. “His diligence on every story and his passion for the industry and the people in it are legendary and everyone who was ever interviewed by him appreciated his charm and knowledge. He mentored so many young journalists and was an inspiration to everybody that worked with him. His untimely death is a tragedy." Gallagher is survived by his wife Veronica and three children Meg, Ellie and Cieran. Cathay Pacific Airways has stolen a march on its competitors by introducing a Hong Kong to Abu Dhabi four times weekly service. It is the first ever non-stop operation between the capital of the United Arab Emirates and China’s Special Administrative Region. The route promises to offer Abu Dhabi residents efficient connections through Hong Kong to all major destinations in the Asia Pacific region, including Mainland China, the Philippines, Korea, Japan and Taiwan, Australia, and New Zealand. The route will be flown by wide-body Airbus 330 and A340 aircraft featuring a flat bed in Business Class, a fixed-back shell seat in Economy Class and full audio and video on demand in all classes. 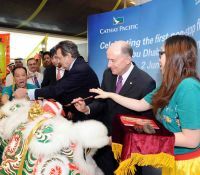 Cathay Pacific has been serving the United Arab Emirates for more than 30 years and currently offers a double-daily operation to and from Dubai. The airline connects to 17 cities in Mainland China through its sister airline, Dragonair. Rohan Alce, one of the most respected men in the international airline scene, with vast experience in the Middle East, Asia and Africa, has become Oman Air’s Country Manager for the United Kingdom and Ireland. Having previously lived in Canada, Europe, and the Middle East, Mr Alce has now returned to London. Based at the airline’s London office in Chiswick, Mr Alce will be responsible for overseeing the airline’s day-to-day operations in the UK and Ireland and he replaces Abdullah Zantout, who moves to Beirut to take on a new role with Oman Air. 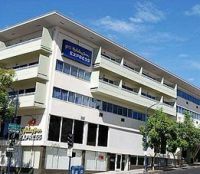 With British Airways now returned to San Diego from 1 June, the only non-stop flights from Europe, news that InterContinental Hotels Group has opened the Holiday Inn Express San Diego Airport – Old Town, is positive for travellers flying to and from London. Conveniently located just minutes from the airport the low rise hotel has 123 guest rooms featuring seven suites with Jacuzzi tubs and sitting areas. At least you can glide back to earth when the power runs out. 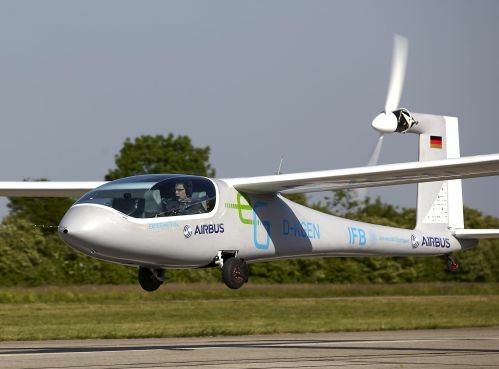 The Airbus sponsored electric concept aircraft “eGenius” has flown. It features a propulsion system which pushes the limits of electric flight to a power level of 60kW. Responsible is Institute of Aircraft Design at the University of Stuttgart and Airbus Future Projects teams. AERBT, not to be left behind, is shortly to road test a Mitsubishi i-MiEV, with Hertz sponsorship.